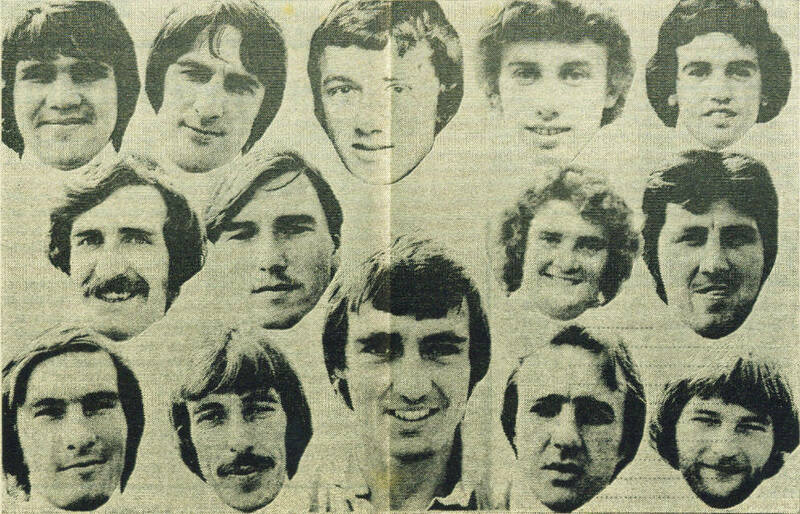 A montage showing the team at the start of the 1977-78 season. Back row (left to right): Dave Clay, Chris Hamshare, Kenny Reynolds, Bobby Wilson, Ian Christie. Middle row (left to right): Kevin Raine, Pip Harris, Dave Waite, Dave Wiltshire. Front row (left to right): Kenny Rogers, Alan 'Tosher' Brown, Peter Brooks, Bryn Lloyd, Andy Keeley.